A common misperception among those who are concerned about the practically of producing societal value calculations is that there are insufficient metrics available to do this work. In fact, the numerical and monetary data that can be used for this purpose is widely and freely available. Most of the sources of this information will be familiar to researchers with a background or training in the social sciences. There are many sources for this type of data, but more detailed or specialised issues may have been covered in greater depth by academic studies or research carried out by think tanks or professional bodies. The combined data from these sources can be compiled to form the base case for any subsequent quantification of the changes that the development will bring about in the area. Metrics are also collected and used when societal value is monetised. In the field of social return on investment these are known as proxy values as they represent changes to people’s lives based on both market and non-market sources. In each case, the valuer is looking for the price of the unit of measurement chosen to represent the change. If the unit of measurement is the number of visits to the family doctor, then the proxy value will be the cost to the NHS to see a patient at a GP surgery for the average consultation time for that area for example. This list of sources is not exhaustive. Indeed, there are many other potential data sites and repositories where metrics may be sourced. For an experienced researcher, the acquisition of the relevant informant to carry out the analysis of societal value need not be complicated or time-consuming. The depth of any analysis will be dependent on the scope of the investigation, the scale of development and the number of stakeholders it is likely to affect. However, the information required to produce well-evidenced, transparent analysis in the UK and many other countries is often readily available to those who are skilled to find it. It should be possible for any built environment valuer to collect and collate information about societal value in the same way that they are used to carrying out a conventional financial return on investment analysis. As this report indicates, the availability of metrics, and the guidance on the skills required to obtain experiential accounts from stakeholders is now freely available. 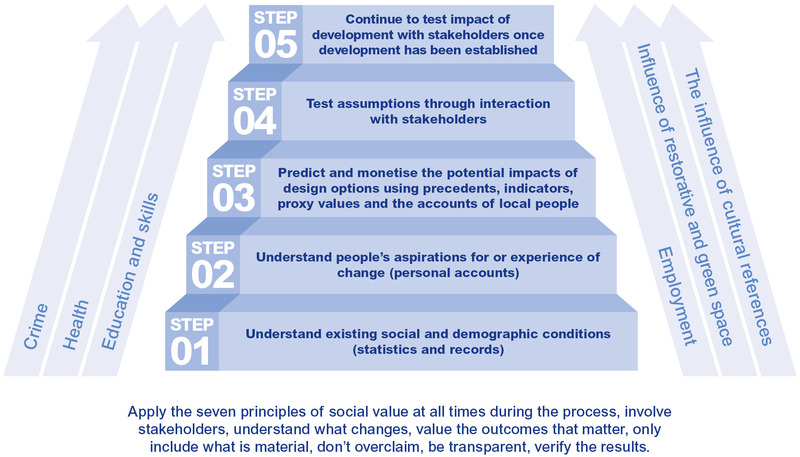 Following a simple step-by-step process set out in more detail by Social Value International, this method can be used to both predict and evaluate post-completion development schemes. Figure 3 shows how metrics, the accounts of stakeholders, and factors that affect their lives can be combined to predict and forecast the societal value of planned development. 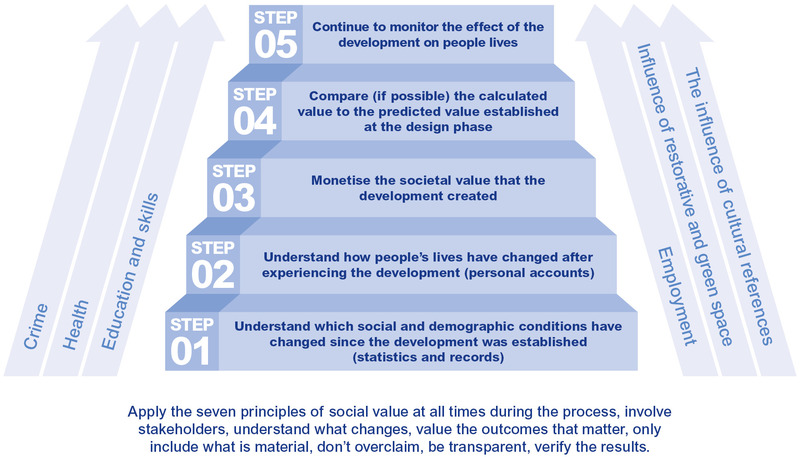 Figure 4 show a similar process for the evaluation of societal value of completed development.